I can remember that way back in 1981 there was an original one-act musical called March of The Falsettos followed by another one-act musical called Falsettoland in 1990. They both played Off Broadway in small theaters These two combined shows comprised the creation of the Broadway show called Falsettos. Falsettos originally opened on April 29, 1992 and played for a little over a year at New York's John Golden Theater. It will be revived once again starting preview performances at the Walter Kerr Theatre in New York starting on September 29 with an opening night set for October 27, 2016. Right now the show is scheduled to play a limited engagement and close on January 8, 2017. I have a feeling that if the critics give Falsettos some solid reviews, then the show should probably extend its run for a while longer. After all, Falsettos is set to have an incredibly talented cast which include Broadway veteran Christian Borle (Smash, Something Rotten), Stephanie J. Block (The Mystery of Edwin Drood, The Boy From Oz, Anything Goes, Wicked) and Andrew Rannells (The Book of Mormon). These three wonderful actors will be joined by a terrific supporting cast. 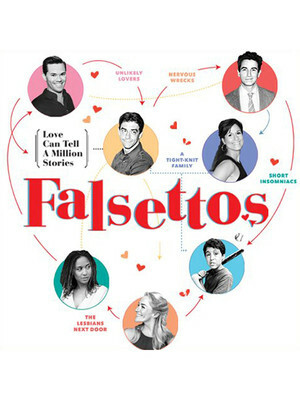 Falsettos story is an interesting one and tells the story of Marvin, his ex-wife, his new boyfriend, his adolescent son, his psychiatrist and some neighbors. Marvin looks to keep his family a close, tight-knit one despite substantial changes in his life amid the backdrop of the AIDS era and changing times. The original version of Falsettos on Broadway won Tony Awards for Best Book and Best Score of a Musical in 1992. The Book is written by James Lapine and William Finn who also wrote the music for the show. I'm looking forward to seeing the musical revival of Falsettos on Broadway this Fall of 2016. Although Falsettos tickets are going on sale soon, we welcome the opportunity to help Applause-Tickets clients in obtaining great seats for what I personally think will be a very successful revival. If you need assistance, kindly consider a call to our friendly Broadway ticket experts in New York City at 212-307-7050. We're open 24/7 to help. We wish great success to the cast and creative team at Falsettos on Broadway. On Facebook at Applause Theatre & Entertainment Service In.